How to Free Download Pictures from iPhone 8/7 to PC and Mac? How to Download Pictures from iPhone X/8/7 to PC and Mac macOS Mojave? How to download pictures from iPhone to Windows and Mac computers? You can discuss it seperately for the two different systems: Windows computer has AutoPlay function to connect the iPhone Apple ecosystem in picture photo management. Thus, for further reading on how to enable AutoPlay and other ways to transfer pictures from iPhone 6/7/8 to PC Windows computer, refer to this link. Likewise, to transfer pictures from iPhone to Mac using iTunes and photo app, you may refer to Apple official support site. However, here we would like to focus on a general one-stop solution to let users download pictures from iPhone to computer PC and Mac macOS Mojave alike. This means that we eliminate the trouble switching between applications while instead using just one tool to transfer photos pictures from iPhone to Windows and Mac. Want to free your iPhone storage without sacrificing photos? 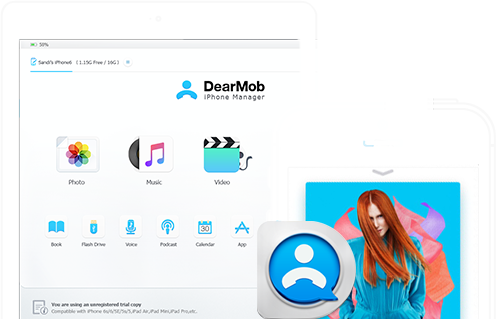 DearMob iPhone Manager is the simplest solution to download iPhone photos from iPhone to computers. This iPhone photo manager works on both Windows and Mac latest build, offering comprehensive media solutions to import pictures from iPhone 8/7/6 to PC computer and Mac alike. Still troubled by your storage-strapped iPhone 7/6 after massive iPhone photos transfer? How to Download Photos from iPhone to Windows & Mac macOS Mojave? Click the Download button below to get corresponding Windows Mac versions of this free transfer tool. Install and launch it on your devices. DearMob iPhone photo Manager is lightweight and easy to download. Connect your iPhone device using the lightning cable and tap to trust the computer. This iPhone Photo Manager will start to recognize your device and load all the songs and albums in your iPhone iPad storage. Select the whole album or several photos you want to export from iPhone to computer and click "Export" to finish the work. 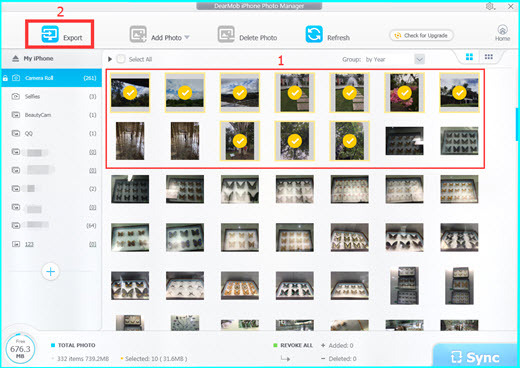 This photo manager can guarantee a 1000-photo-transfer within 100 seconds! The same steps apply to both Windows 10 and macOS Mojave while using this free software. The default iPhone photo albums are locked and you cannot delete/add/edit photos in those albums. But you can create new albums in your iPhone/iPad directly from this software to move photo pictures from computer to iPhone iPad. You can view your iPhone photos in small icons and large icons, and group them by year/month/day. All the adding/deleting/creating operations can be revoked before syncing if you accidently change your mind. 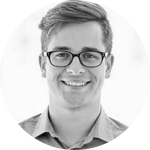 Jason, once worked as a professional software tech supporter, is talented in software error detecting, fixes and software test reviews with sharpened technical insight. He also has a peculiar taste in movies, music, comics, TV Sports shows. Feel free to contact him on Quora. 3 How to Solve macOS Mojave iOS 12 Continuity Camera not Working?